Love drifting? Here's a new drift video to entertain yourself. Produced by Donut Media, it features professional drifters Ryan Tuerck, Kristaps Bluss and Matt Powers. Shot at an abandoned Soviet Missile base in the heart of Latvia, three crazy drift machines feature, starting with a 800bhp supercharged BMW E92 M3, a 950bhp supercharged BMW E46 M3 and a twin-turbo V8-powered Nissan 350Z. 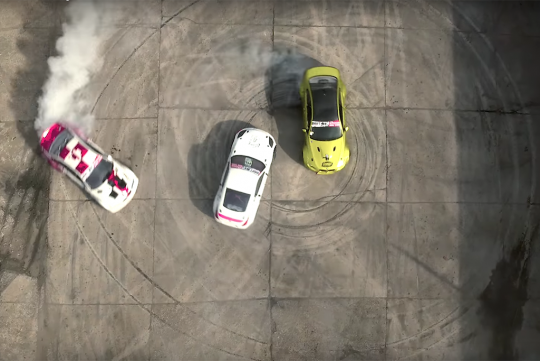 Spare yourself three minutes and watch this video as the guys at Donut Media sure know how to come up with a well shot drift clip. BMW M2 vs Lexus GS F vs Toyota GT86 - Which is the best to drift in?